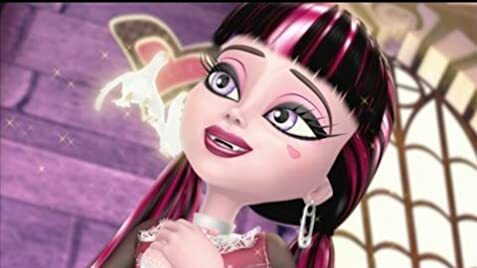 Valentine's Day and the 1600th Draculaura's birthday are coming. Ghoulfriends are making her the party, Clawd (her current boyfriend) is looking for perfect gift but suddenly Valentine (the old one) appears. After watching trailer leading arouse curiosity, as a Anime lover couldn't wait to watch this. Monsters are scary some terrified us in Horror movies,stories but they fell in love in their high school, yup that is totally new to me. The director and whole staff has done their best and it is worth it , felt like watching something different with especially with monsters. They had shown their efforts it's best in the Graphics character design, background , funny story-line was prefect to retain attention. This will teach you something new about the Monsters they are Not all bad some are good also no matter how they look. No need to keep distance from these Lovely adorable monsters after all they are not here to scare you but to entertain you.